Two junior faculty members in Johns Hopkins University’s Whiting School of Engineering have been selected to receive National Science Foundation CAREER Awards, which recognize the highest level of excellence among early-stage researchers. The recipients are Jaafar El-Awady, an assistant professor in the Department of Mechanical Engineering, and Amitabh Basu, an assistant professor in the Department of Applied Mathematics and Statistics. The two faculty members will each receive $500,000 in research funding, allocated over a five-year period. Ed Schlesinger, the engineering school’s Benjamin T. Rome Dean, recently announced the honors. 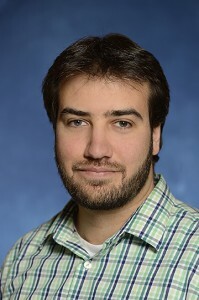 His aim is to move from empirical, trial-and-error development techniques to a combination of state-of-the-art multi-scale computational methods and experimental techniques that streamline the process of developing reliable materials with superior performance. El-Awady earned his bachelor’s and master’s degree at Cairo University. In 2008, he received a PhD in Aerospace Engineering from UCLA. In September 2010, he joined the faculty at Johns Hopkins. The other CAREER award recipient, Basu, will use his funding to support his efforts to break new ground in the fundamentals of discrete optimization, a mathematical strategy used to help solve large-scale decision-making problems. In particular, he seeks to apply these methods to problems where a combination of discrete choices and non-discrete choices have to be made to optimize a given objective, such as minimizing costs or maximizing profits. 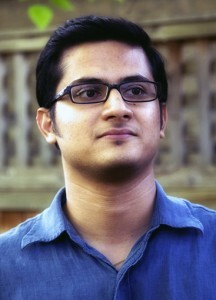 Basu completed his undergraduate studies at the Indian Institute of Technology in Delhi, India, and then earned a master’s degree in computer science from Stony Brook University in New York. He received his PhD through the Algorithms, Combinatorics and Optimization Program at Carnegie Mellon University. He joined the faculty at Johns Hopkins in July 2013. Photos of the two CAREER Award winners available; contact Phil Sneiderman.